Top Rated Chemistry Tutors in Phoenix, AZ! Welcome to Phoenix’s top-rated private chemistry in-home tutoring service! 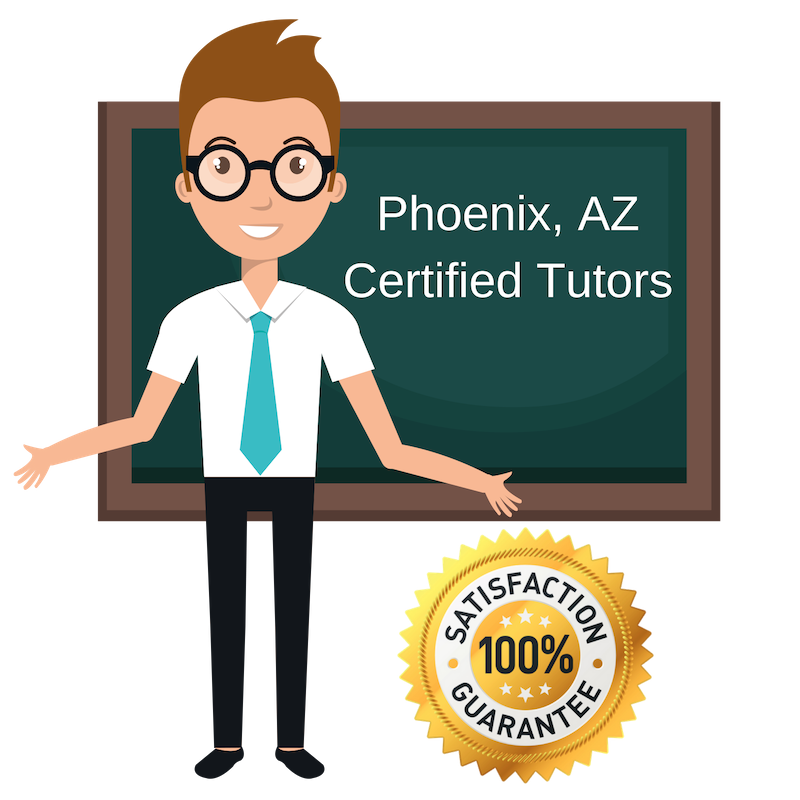 All of the following Phoenix chemistry tutors are certified by Varsity Tutors, the leading tutoring agency in the country! All Phoenix chemistry tutors have been background checked, been interviewed, had mock chemistry tutoring sessions, and been trained by professionals. We guarantee you will love your local Phoenix chemistry tutor or your money back! Get information regarding a top-rated chemistry tutor today! I studied in Long Beach California, where I attended California State University. There, I received my Bachelor’s and Master’s Degrees. I began tutoring while at school and came to love it. I tutor many subjects now, including chemistry. Chemistry is a subject I really took to and mastered and want to help my students do the same. I love getting my students excited about this subject and seeing them learn and improve throughout our tutoring sessions. Apart from tutoring, I also enjoy reading, dancing, and spending time with my puppies. For over fifteen years, I have taught Chemistry and the college level. I have taught at an array of colleges and universities and have learned a lot from the different students I taught. Chemistry is definitely my specialty and a subject I am continuously fascinated with. I bring this passion to my tutoring. I tutor chemistry to students in Phoenix. My extensive background in teaching chemistry and my previous work in the pharmaceutical industry provide me with a very strong science background and the knowledge needed to help any student succeed in this subject. I have as Associate’s in Science, in Biomedical Engineering from Paradise Valley Community College. I enjoy working with students from all walks of life and helping them succeed in science. I tutor chemistry and really love the subject. I am a very patient tutor and work hard to see my students succeed. I have a passion for tutoring that started in high school, as President of the National Honor Society. Since high school, I have gone on to receive multiple degrees from the University of Florida in Gainesville, most recently my PhD in Biochemistry and Molecular Biology. Clearly, I have a passion and strong interest in science and love sharing that with students interested and committed to learning. Chemistry is a fascinating subject that I am very knowledgeable in. For this reason, I tutor chemistry to students across Phoenix. Tutoring is a gift and is something I take very seriously. Each of my student’s success and wellbeing is very important to me. I’d be honored to help you master chemistry. I have a strong appreciation and love for math and science. I have spent the past 40+ years working as an engineer. Before that, I had an extensive educational career, getting my Bachelor’s of Science, Electrical Engineering from Colorado State University and my Master’s in Systems Engineering from Johns Hopkins University. All of my experience has shown me that even the most complicated mathematical and scientific theories can be broken down to understandable pieces. This is what led me to tutor, to help others better understand math and science. I tutor chemistry in Phoenix and really enjoy working with students.